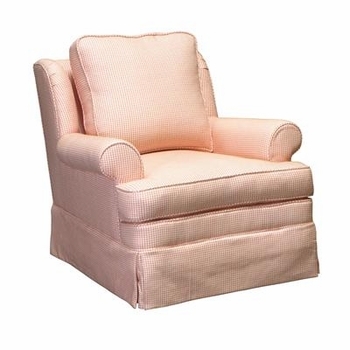 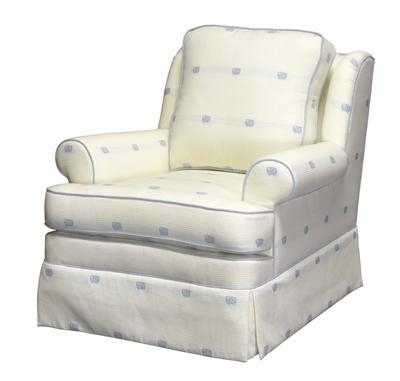 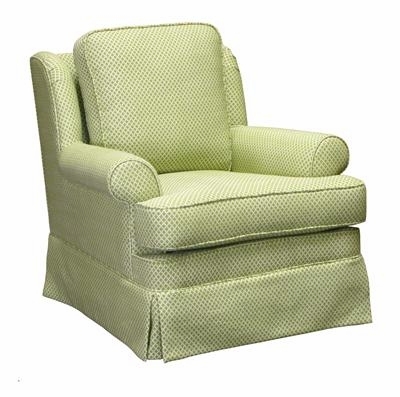 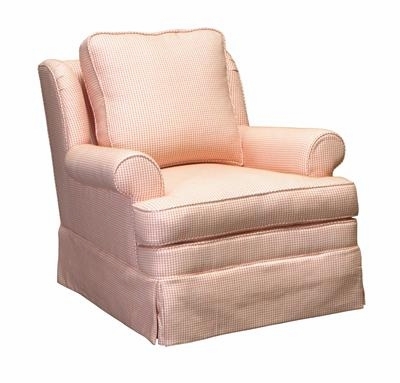 The Greenwich Swivel Glider Chair is a warm and comfy seating option. 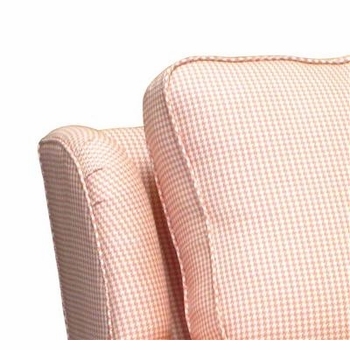 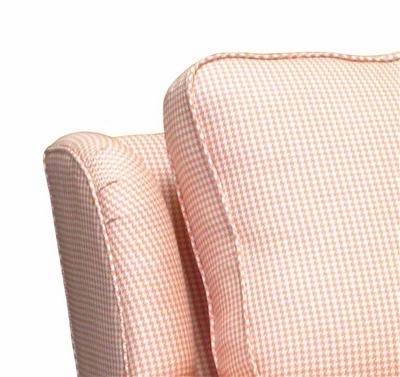 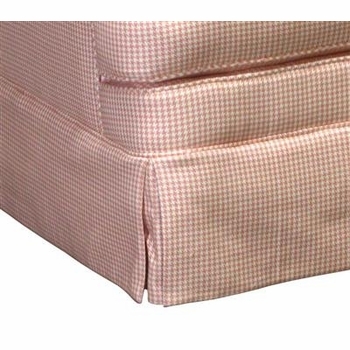 The soft and stylish seating is perfect for bedrooms, sitting areas and other places. 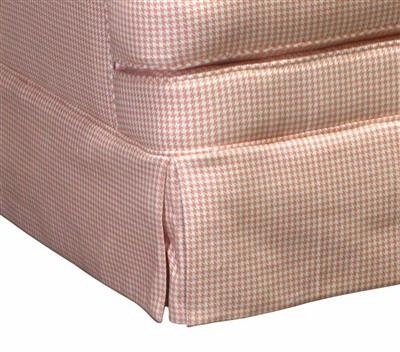 It will enhance your decor and give you a perfect way to enjoy your room. 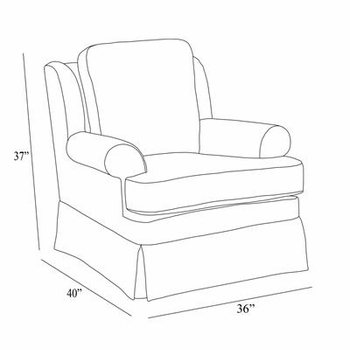 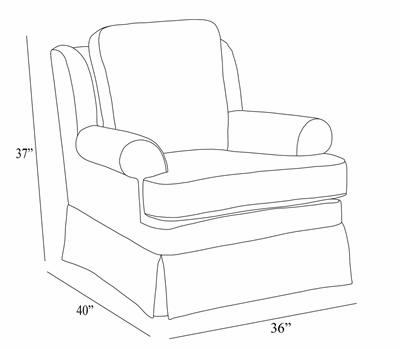 Dimensions - Width: 36" , Depth: 40" , Height: 37"
Please note: The chair is custom made to order and ships directly from the manufacturer. 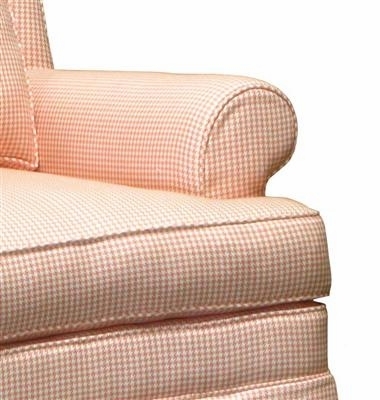 For further information or to speak with one of our design associates, please call us at 203.655.0185.